We, as a church family, embrace radical generosity because we know it changes lives—ours and the people we’re reaching through the mission and vision God has given us. He has called us to Thrive! We do not thrive when we are not generous. They go hand in hand! 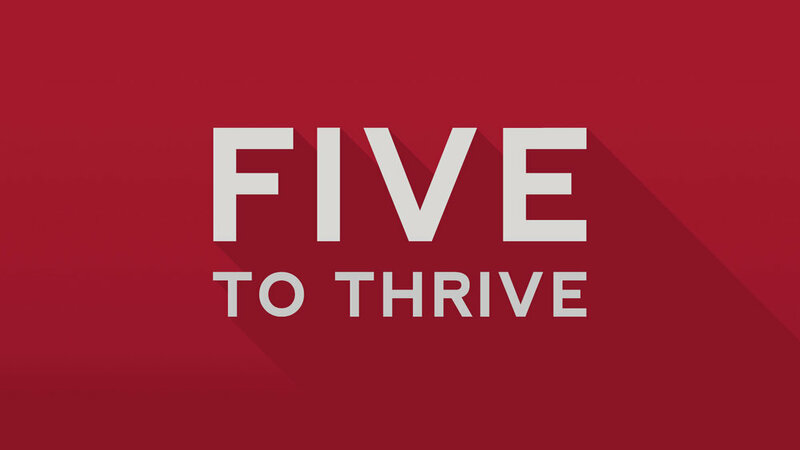 We have a challenge for us all: Five to Thrive! We have so many God opportunities to reach people for Jesus. We are all part of meeting the needs; we all have the privilege to respond powerfully to those opportunities. Five to Thrive is how! No matter how much we’re giving currently, if each of us will commit to giving a new or additional $5 a week, our ability to make an eternal difference multiples in a huge way! Only $5 – that’s just the cost of a coffee or two, or trip to fast food. Just $5 redirected and added to your current weekly giving will help us to Thrive in our mission and vision! Taking action on your generosity is simple by using the buttons below. Click Commitment Card to let us know you have joined the challenge. Click the Donation Center to chose the giving method you prefer. Let’s thrive! Don’t see what you’re looking for? Check out our secondary website for happenings news, information, and resources.